there were three possible ways to win recognition in this challenge, and you won recognition in all three. The only image to do so. Congrats. Neat...like it a lot. Congrats! Brilliant crop, Lev. You saw the diamond in the lump of coal. Congrats on the ribbon. Wonderful find!! Congrats on the yellow! Congrats Lev, awesome shot of a simple object, the thing is you had the eye to see! Loved this Lev, well done. Well spotted and captured, Lev. You have a sharp eye. Congratulations! Very nicely spotted and composed. This is outstanding. Great work Lev. Cool one Lev, wonderfully understated and stark, just the way we like em. Congrats. Of the ones I voted on, this was my top pick by far. Congrats on the ribbon. Very clever and works well for this challenge. Congrats on the ribbon. 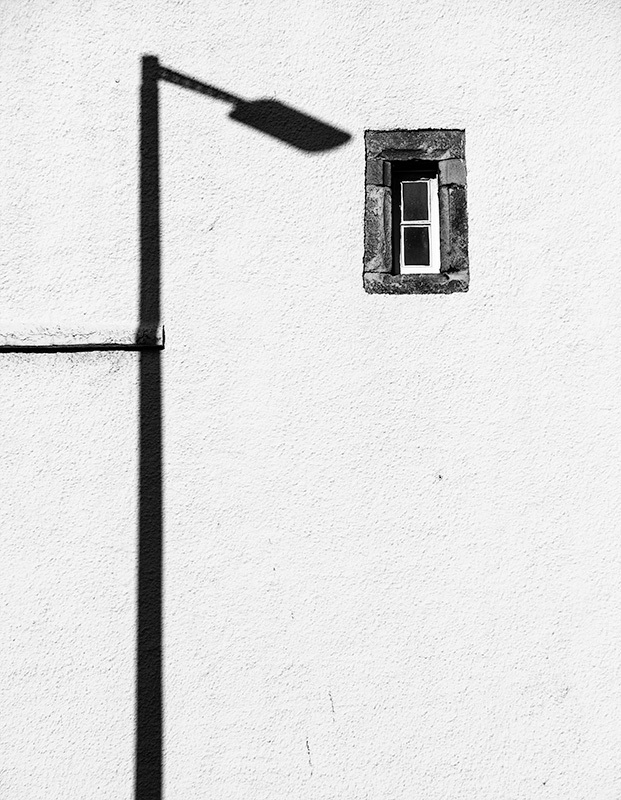 The shadowy lamppost bows to the empty window. Not only nice in black and white, but necessary. Nice find; at the right place at the right time for just the right angle of the sun to the window. Good job. That window looks absolutely tiny. Nicely spotted, simple is best. Excellent shadow work. Simplicity rules. Proudly hosted by Sargasso Networks. Current Server Time: 04/22/2019 08:44:11 PM EDT.